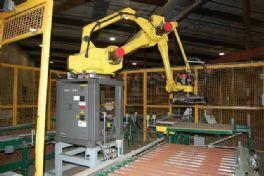 Used Fanuc M-410i Robotic Palletizer for sale!!! Used Fanuc M-410i Robotic Palletizer for sale!!! We have a variety of Palletizers machines for sale!! !